1 Laborers pull a pontoon buoy with a rope in the river Ganges as they build a floating bridge for the upcoming Kumbh Mela festival, in Allahabad, India. 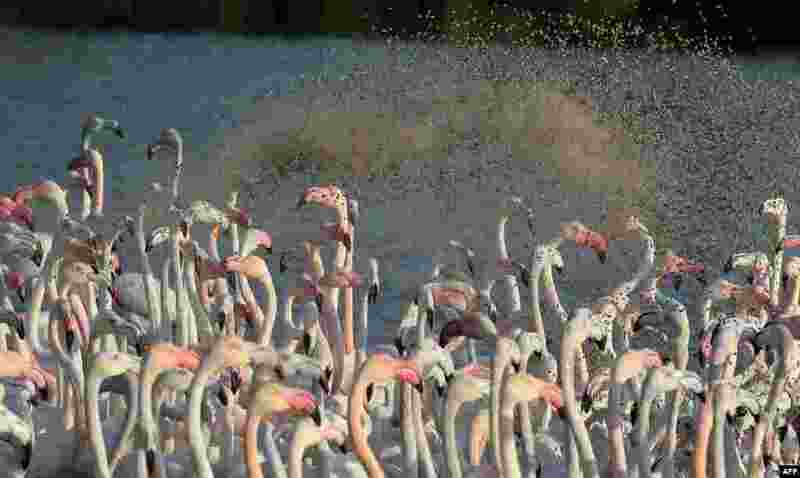 2 Migrating pink flamingos are being fed at a lake in Dubai, the United Arab Emirate. 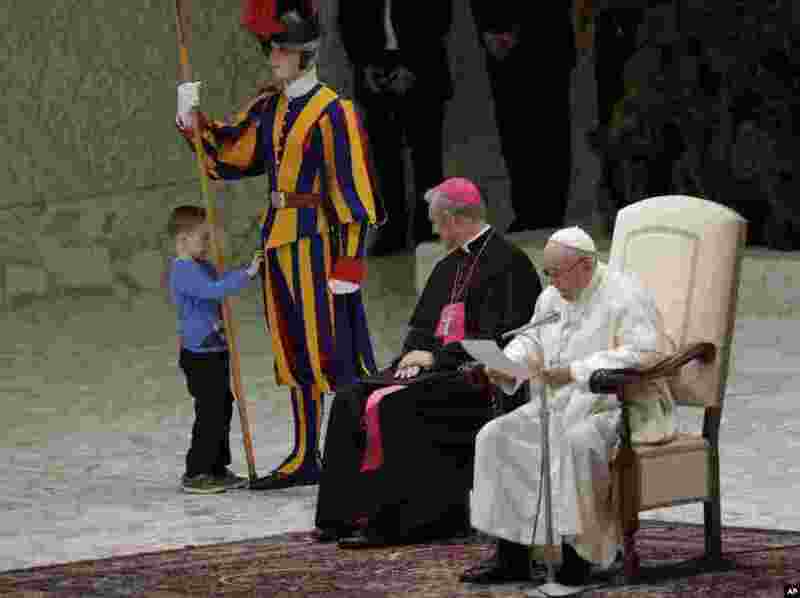 3 A child plays with a Swiss guard in the Paul VI Hall at the Vatican. 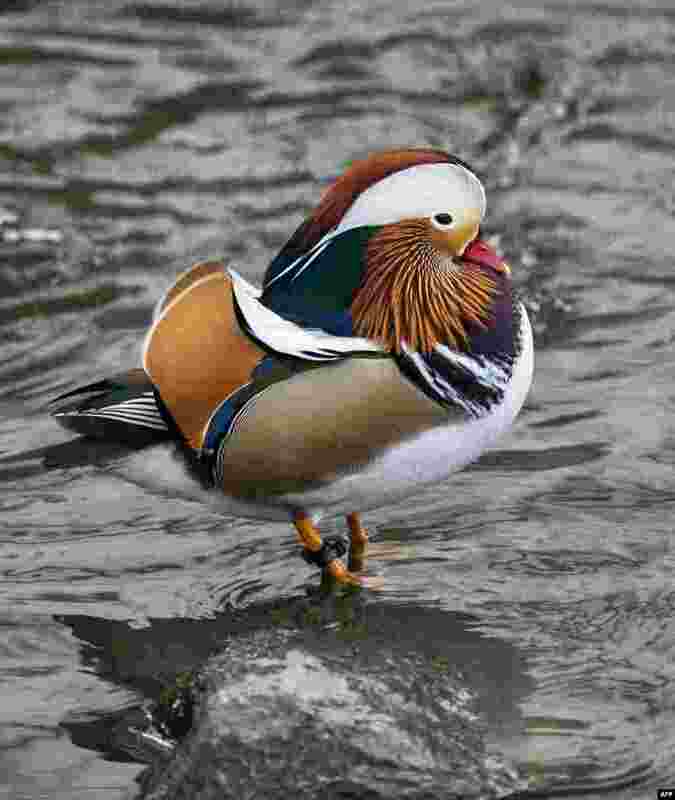 4 The now famous Mandarin Duck, nicknamed Mandarin Patinkin, makes an appearance on at a pond in Central Park in New York, Nov. 27, 2018.